After a long work week, it’s nice to sit back, relax, and spoil yourself with a warm cup of soup. 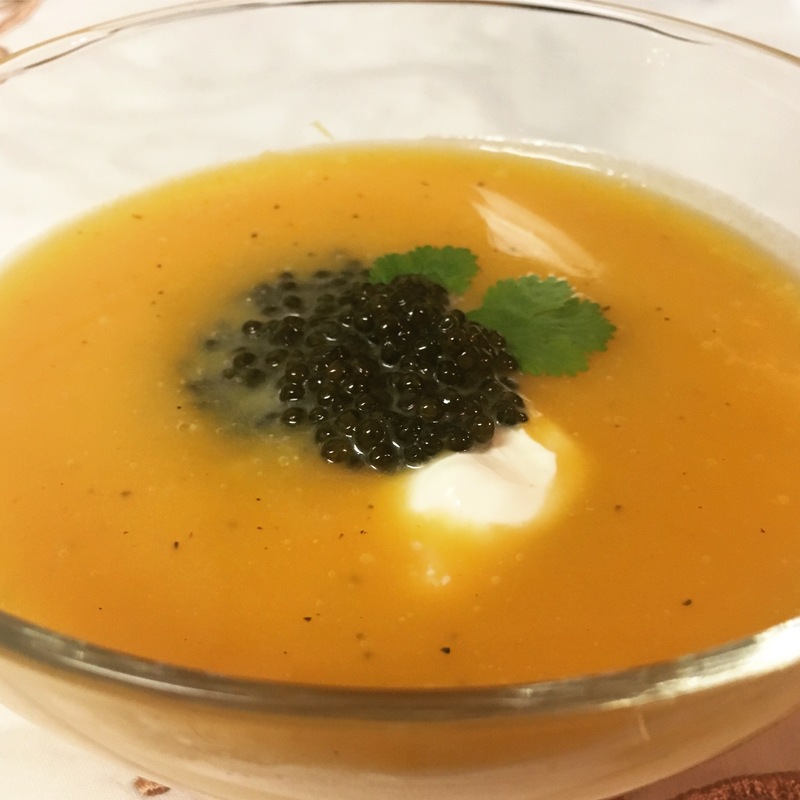 Touch it up with a dollop of caviar and sink into the pleasurable warmth of this dish. Add the onion, carrot, potatoes, and squash to caramalise (about 5 minutes). Pour in chicken stock, and bring to a boil. Cover and reduce heat to low. Let simmer 45 minutes, or until all vegetables are cooked well. Using a hand blender, blend until smooth. Add more chicken broth if needed to reach desired consistency. Season with salt and pepper. 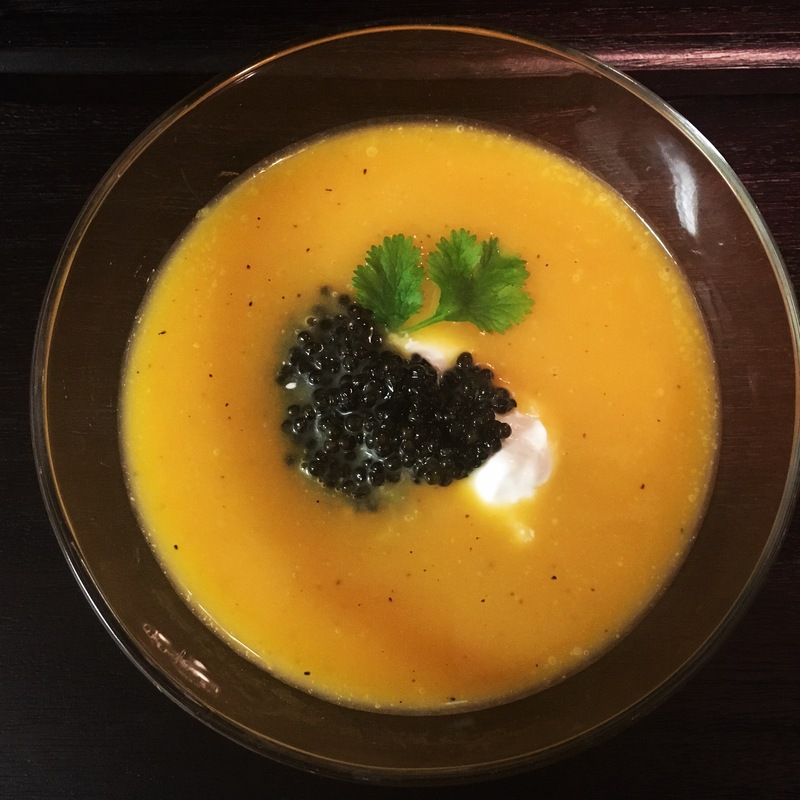 Serve in your favorite bowl, and top with a tbsp of crème fraîche to each bowl, and top it with a generous tsp of Plaza Royale Caviar. Add parsley to garnish. Enjoy, and thank us later! Tip: don’t add all chicken broth when cooking the vegetable. Add enough broth to cover the vegetables and add more when needed. Tip: if cutting the butternut squash is challenging, try poking holes in it with the tip of a knife. Turn on the oven to 375F, and let it cook for an hour.